All components are new manufactured items (No remanufactured, refurbished or rebuilt components). 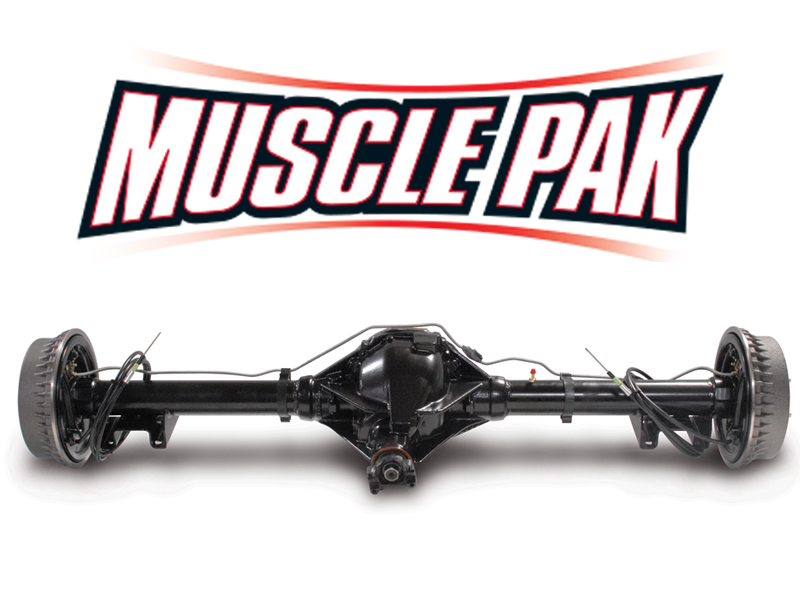 Package includes; New Heavy Duty Moser 9" Made in the U.S.A. Housing, with OEM located mounting provisions, seamless steel tubing (3" O.D., 1/4" wall), custom alloy 31 spline bolt-in axles, bearings, studs, seals, heavy duty retainer plates, new housing ends, t-bolt kit, Trac-Loc clutch posi, "1310" Series pinion yoke, ring & pinion, chrome rear cover, set up with Timken bearings, New Drum Brakes, brake lines, brake line clamps, and emergency brake cables. Find your vehicle, Select your options, We will build it the way you want it and it will leave in just 3 - 5 business days! Standard Finish is no coating (bare metal), Powder Coating is Optional (adds 2-3 days to the processing time). 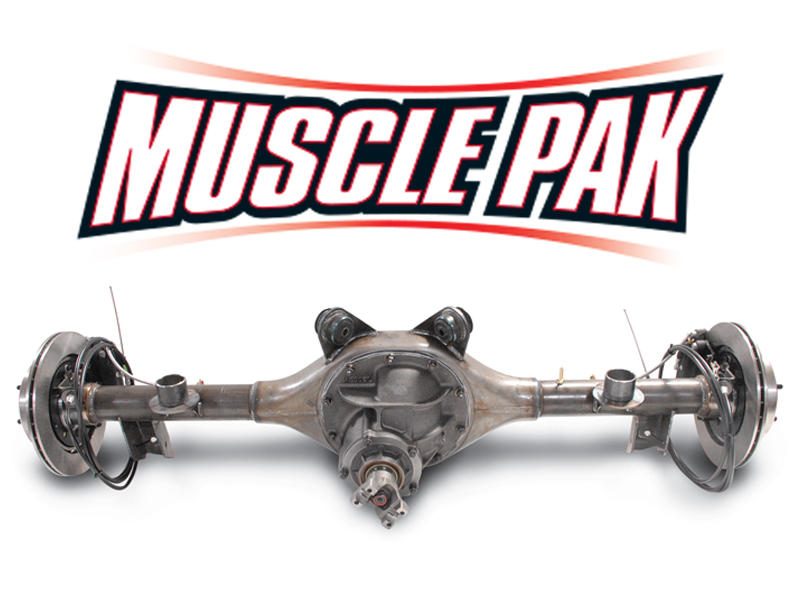 Complete M9 MUSCLE PAK THE STRONGER REAR-END REPLACEMENT! All components are new manufactured items (No remanufactured, refurbished or rebuilt components). Package includes; New Heavy Duty M9 (9" Ford) Made in the U.S.A. Fabricated Housing, with OEM located mounting provisions, seamless steel tubing (3" O.D., 1/4" wall), custom alloy 31 spline bolt-in axles, bearings, studs, seals, heavy duty retainer plates, new housing ends, t-bolt kit, Trac-Loc clutch type posi, "1310" Series pinion yoke, ring & pinion, set up with Timken bearings, New Drum Brakes, brake lines, brake line clamps, and emergency brake cables. COMPLETELY ASSEMBLED! Many options available! Standard Finish is no coating (bare metal), Powder Coating optional (adds 2-3 Days processing time). Find your vehicle. Select your options. We will build it the way you want it in just 3 - 5 business days! 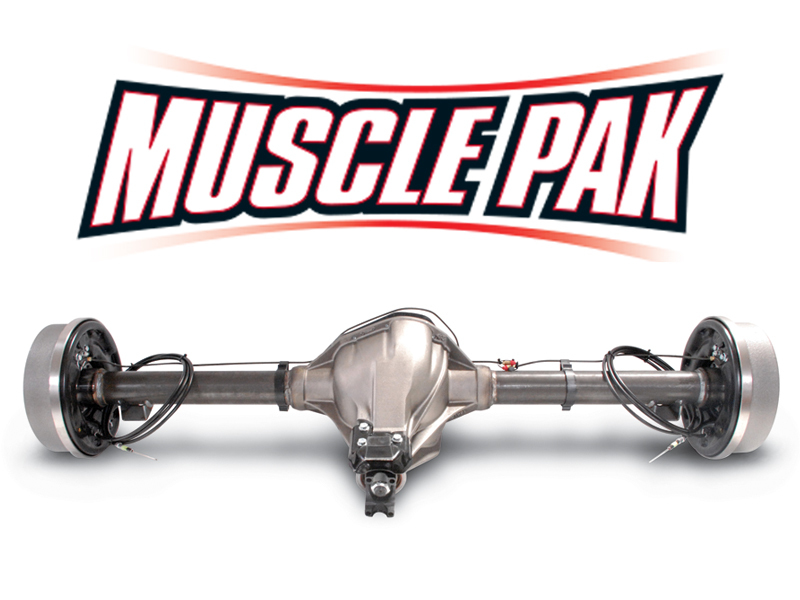 Complete 12 Bolt MUSCLEPAK THE STRONGER REAR-END REPLACEMENT! All Moser 12 Bolt Housings are designed and manufactured in the U.S.A. using Moser Engineering owned Casting Boxes. Package includes; New Moser 12-Bolt Made in the U.S.A. Housing, with OEM located mounting provisions, seamless steel tubing (3" O.D., 1/4" wall), custom alloy 30 spline bolt-in axles, bearings, studs, seals, heavy duty retainer plates, new housing ends, t-bolt kit, Eaton clutch posi, "1310" Series pinion yoke, ring & pinion, chrome rear cover, set up with Timken bearings, New Drum Brakes, brake lines, brake line clamps, emergency brake cables. COMPLETELY ASSEMBLED! Many options available! Standard Finish is no coating (bare metal), Powder Coating optional (adds 2-3 Days processing time). Find your vehicle. Select your options. We will build it the way you want it in just 3 - 5 business days! MADE THE AMERICAN WAY IN THE USA! Product will ship 3 - 5 business days following the completion of online order. Bare Metal Finish is standard, Powder Coating will add 2-3 days to the build process! 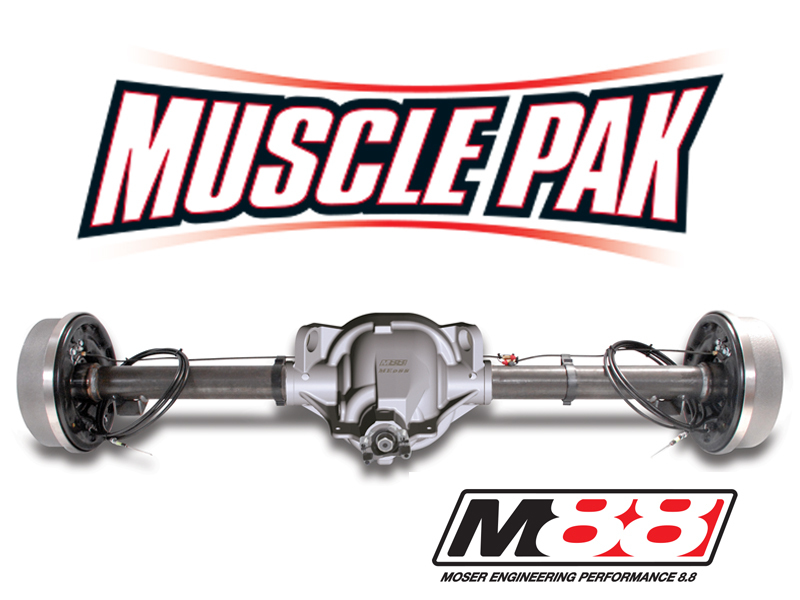 M88 MUSCLEPAK THE STRONGER REAR-END REPLACEMENT! Find your vehicle. Select your options. We will build it the way you want it in just 3 - 5 business days! Complete Moser 60 MUSCLE PAK! THE STRONGER REAR-END REPLACEMENT! All Moser 60 Housings are designed and manufactured in the U.S.A. using Moser Engineering owned Casting Boxes. Package includes: New Moser 60 Made in the U.S.A. Housing, with OEM located mounting perches, seamless steel tubing (3" O.D., 1/4" wall), custom alloy 35 spline bolt-in axles, bearings, studs, seals, heavy duty retainer plates, new housing ends, t-bolt kit, Trac-Loc clutch posi, "1350" Series cast pinion yoke, ring & pinion, chrome rear cover, set up. New 10" Drum Brakes, brake lines, flat pinion snubber when applicable, brake line clamps, and emergency brake cables. COMPLETELY ASSEMBLED! Many options available! Standard Finish is no coating (bare metal), Powder Coating optional (adds 2-3 Days processing time). Find your vehicle. Select your options. We will build it the way you want it in just 3 - 5 business days! 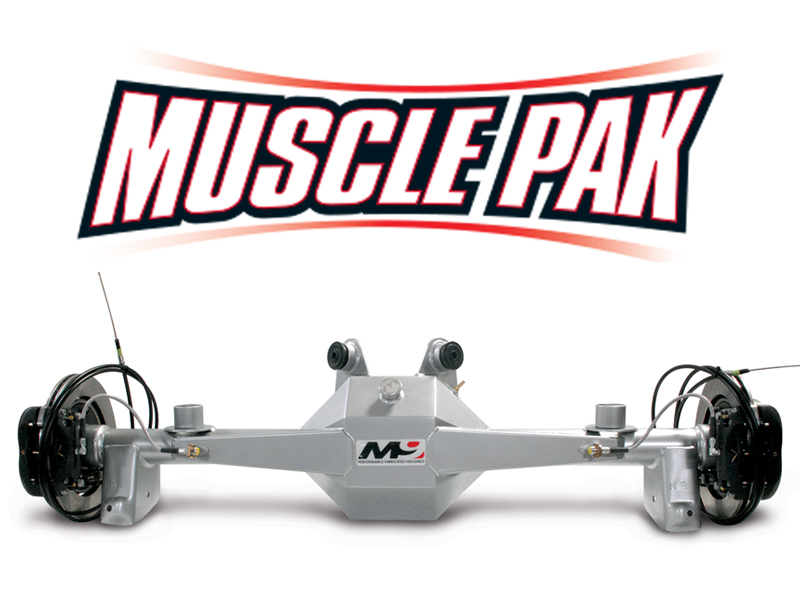 Complete M0875 MOPAR 8 3/4" MUSCLE PAK All components are new manufactured items (No remanufactured, refurbished or rebuilt components). 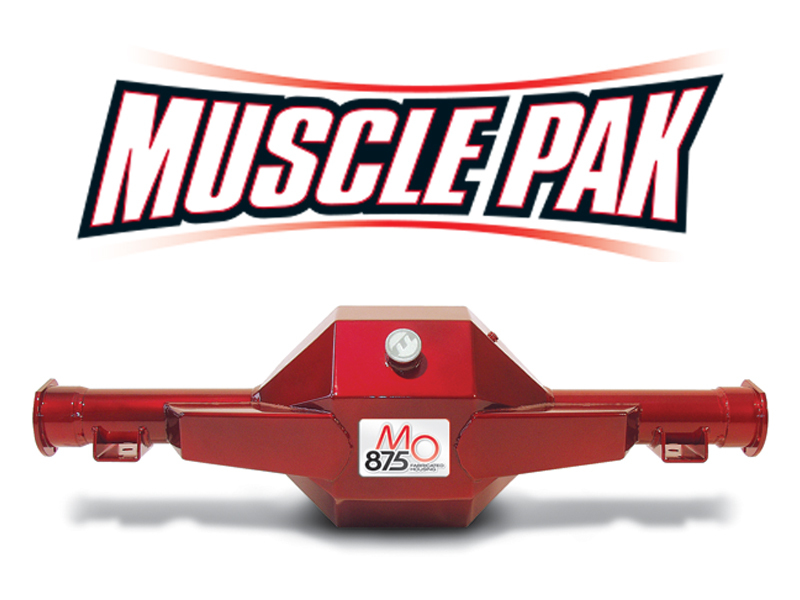 Package includes; New Heavy Duty MO875 (8 3/4" MOPAR) Made in the U.S.A. Fabricated Housing, with OEM located mounting provisions, seamless steel tubing (3" O.D., 1/4" wall), custom alloy 30 spline bolt-in axles, bearings, studs, seals, heavy duty retainer plates, new housing ends, t-bolt kit, Auburn Pro Series Posi, "1350" Series pinion yoke, ring & pinion, set up, New Drum Brakes, brake lines, brake line clamps, and emergency brake cables. COMPLETELY ASSEMBLED! Many options available! Standard Finish is no coating (bare metal), Powder Coating optional (adds 2-3 Days processing time). Find your vehicle. Select your options. We will build it the way you want it in just 3 - 5 business days! Package includes; Stamped Aftermarket 8 3/4" Made in the U.S.A. Housing, with OEM located mounting provisions, seamless steel tubing (3" O.D., 1/4" wall), custom alloy 30 spline bolt-in axles, bearings, studs, seals, heavy duty retainer plates, new housing ends, t-bolt kit, Auburn Pro Series Posi, "1350" Series pinion yoke, ring & pinion, set up with Timken bearings, New Drum Brakes, brake lines, brake line clamps, and emergency brake cables. Standard Finish is no coating (bare metal), Powder Coating optional (adds 2-3 Days processing time).